Live wallpapers eat up your smartphone’s battery so you should avoid using live wallpapers if you travel a lot and use your smartphone most of the time for calling purpose. Here are top 10 free live wallpapers for you to decorate your Android device’s screen. Jelly Bean is the latest version of Android. 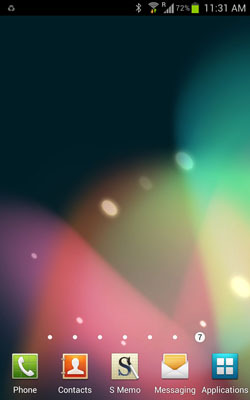 This wallpaper is inspired by original Android 4.1 Jelly Bean wallpaper. You can get the feel of Jelly Bean in your Android device by installing this live wallpaper. Alive Video Wallpaper offers 15 different live wallpapers like Poolside, Ocean, Jumping Fire, Night Valley with single installation. This live wallpaper stops automatically when other app is running to save battery life. 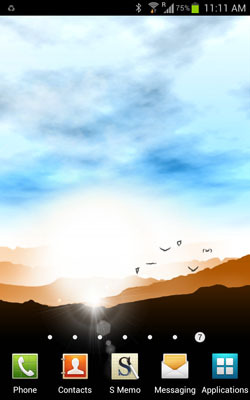 Sunrise live wallpaper is the fresh scene of early morning sky with birds flying in the sky. Simple and beautiful for your Android device. 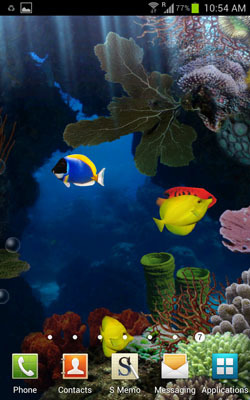 Aquarium live wallpaper is just like a typical fish tank. It not just shows fishes moving around but you can also feed the fishes. You can double tap the home screen to feed them. 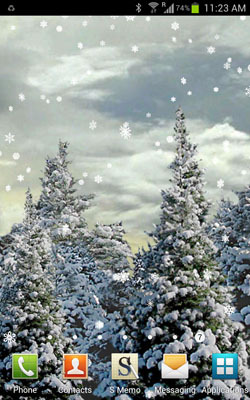 During this hot summer season dress up your home screen with Snowfall free live wallpaper. Whenever you look at your screen it will refresh your mind looking at the snowflakes falling on the pine trees. 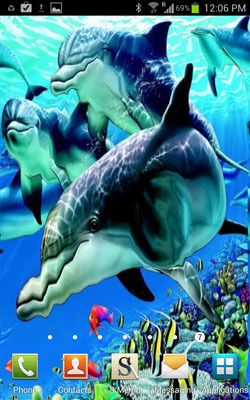 Beautiful Dolphins is different than other live wallpapers. It looks like any other static wallpaper but when you tap the screen it creates a beautiful ripple effect. 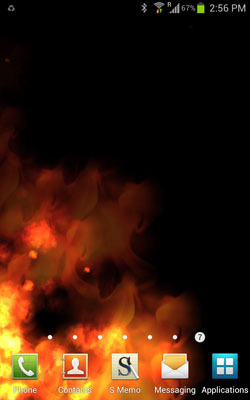 KF Flames live wallpaper turns your home screen into flames. It is a live wallpaper of moving flames. 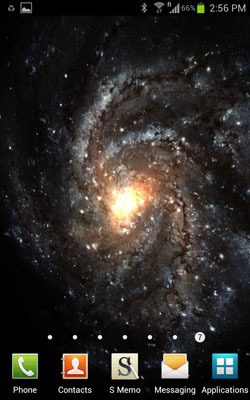 Galactic core live wallpaper is a stunning live wallpaper featuring a rotating spiral galaxy. The perspective shifts as you touch the screen. 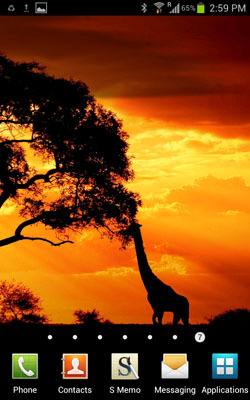 This live wallpaper shows a beautiful sunset against the natural African Savanna landscape. Watch as wild animal silhouettes parade across your screen. Flower Clock is a combination of live wallpaper and clock. 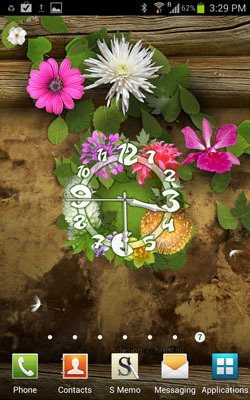 It shows a beautiful clock on your chosen background of flowers. 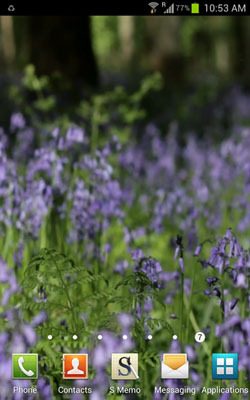 Thanks for sharing these beautiful wall papers, going to use them. Thanks for sharing such a colorful wallpaper…. Thanks for such beautiful live wallpapers for my HTC Explorer. I likes Aquarium a lot. The list includes some very good live wallpapers, it needs a lot of effort to gather this kind of info. sometime i think live wallpapers are just a waste of battery life.but the wall paper with sea view is attractive it grasps the attention. UNUSUAL info!!! I am Samsung Android user, fond of live wallpaper but i have never found anything beyond “sunrise”, “snowfall” wallpapers, reading this article, now i have a good options available. Thanks! !, now i am using “ALIVE” wallpaper!! Jelly Bean is my favorite.